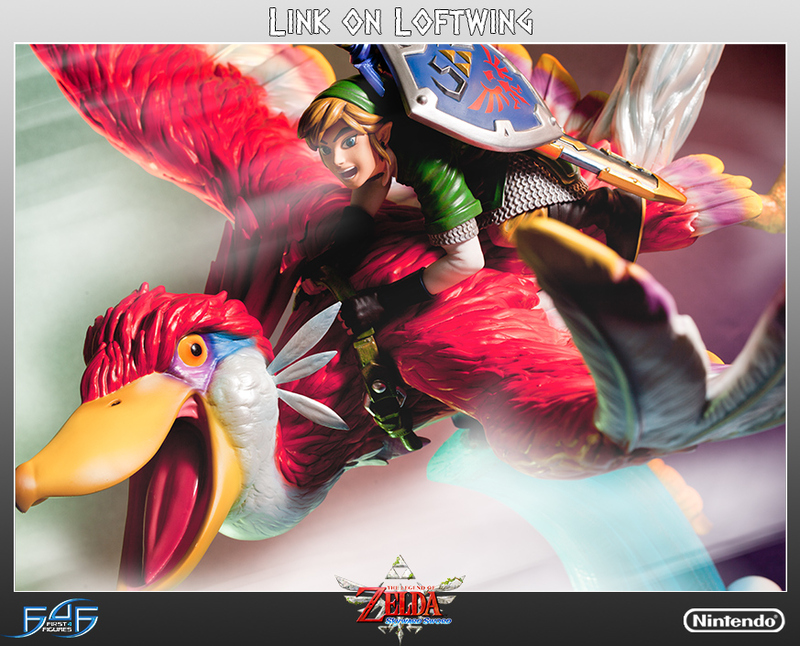 First 4 Figures today revealed the newest Legend of Zelda Statue and it comes in the form of Link on Loftwing, from Skyward Sword. 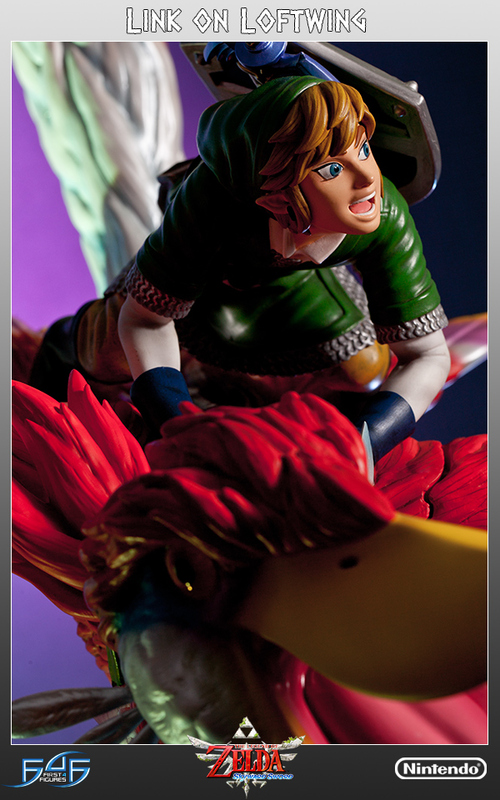 This is an absolute massively sized statue with dimensions of 26″ by 22″ by 25″, making it the largest Zelda statue that First 4 Figures has created, even larger than the enormous Ganondorf Statue. This comes at a price as the statue is slated to cost $459.99 with a limited run of 2500 statues. 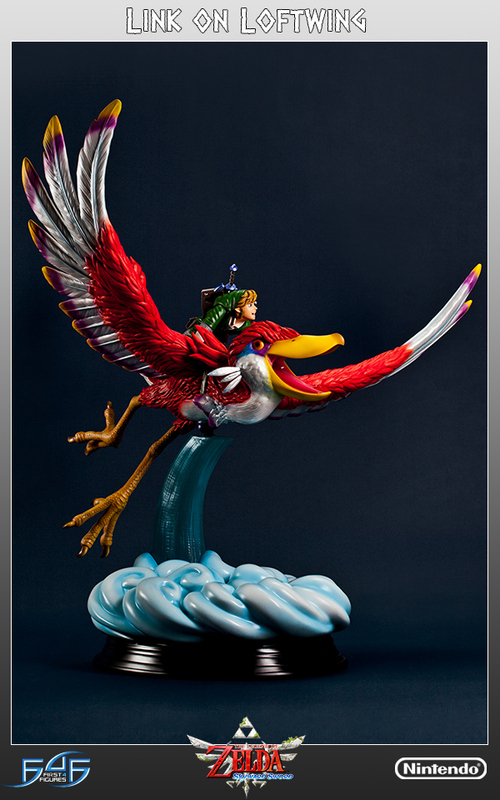 The statue is slated for release during Q2 2015. This appears to be the first statue in a new line of statues for Skyward Sword. 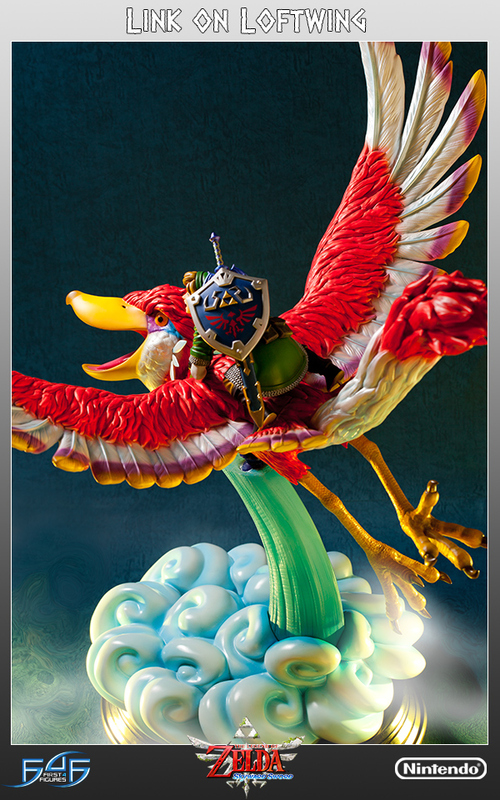 I’d personally love to see a Demise statue, along with Ghirahim and Impa. Later this year, First 4 Figures is slated to released their Princess Zelda Statue. Make the jump to check out some high quality pictures of the statue.